Macquarie, the Australian investment bank that owns 44% of PSE, wants to sell its share of the company to Canadian and Dutch pension funds. The Utilities and Transportation Commission (UTC) was ready to approve the deal before CENSE, along with environmental groups and labor unions, joined the office of the Attorney General in asking for more thorough scrutiny of the transaction, which would perpetuate 100% foreign ownership of our energy monopoly. Are the new owners really committed to making PSE a better “corporate” neighbor that respects local community and environmental values? Will PSE become more transparent with the data and forecasts it uses to justify its projects? Instead of immediately authorizing the sale, the Commission decided to pursue an “expedited evaluation process.” CENSE will continue to monitor developments and lobby for better outcomes for PSE’s customers. If Initiative 1631 had passed, it would have placed a fee on electricity generated from fossil fuels. This would have made it less economical for PSE to build new natural gas plants to replace the coal plants that will close in coming years. The initiative would have created a financial incentive for PSE to instead invest in renewable energy sources, batteries, and enhanced electrical efficiency. Even without I-1631, smart solutions are marching forward. 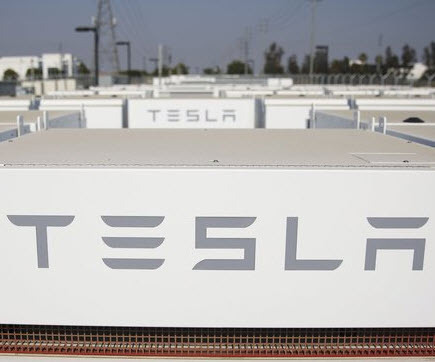 California recently approved the “biggest batteries in the world” to replace several natural gas plants, because they are less expensive. The same economics apply in the Puget Sound region, eroding PSE’s argument for dangerous power lines through residential neighborhoods. CENSE will provide evidence at public hearings for Energize Eastside that there are better solutions than a 20th century industrial-sized transmission line. We expect hearings will be scheduled early next year. Scientific studies published during the past month provide evidence that climate change is occurring at a faster pace than previously thought. Impacts on people are costly and wildlife is disappearing at an alarming rate. What can we do to avoid leaving a damaged and impoverished world for future generations? Cities play an increasingly important role. Sixteen cities and King County signed an important climate agreement in 2014, the King County-Cities Climate Collaboration (K4C), to reduce their greenhouse gas emissions. However, cities are not on track to meet their goals. A new organization, People for Climate Action, has an event this Saturday, November 17, 10 am-noon, at the Northlake Unitarian Universalist Church. Come find out how cities like Portland are creating strong climate action plans, and what you can do to achieve progress in our cities. Connect with us on social media and spread the word to your friends, family and community! Your donation ensures our full participation in the process! As a grassroots organization, our strength comes through member participation. Together we’ll ensure a safe and smart energy future for our community. VOLUNTEER Find out more about ways to donate your time!